Technology has dramatically changed over the years. High-end mobile devices are commonly used by consumers or users anywhere in the world. Let’s say you may be on the top of a mountain or underwater on a submarine and yet you’re connected to a Wireless connection. Cool! We all wanna be connected to the internet and share to the world our experience. Traveling abroad is one of the nice experiences that you definitely would wanna share to inspire. But how can you do that? Yes, you need the INTERNET. The downside is when you’re out of your country, using your mobile data means paying higher. 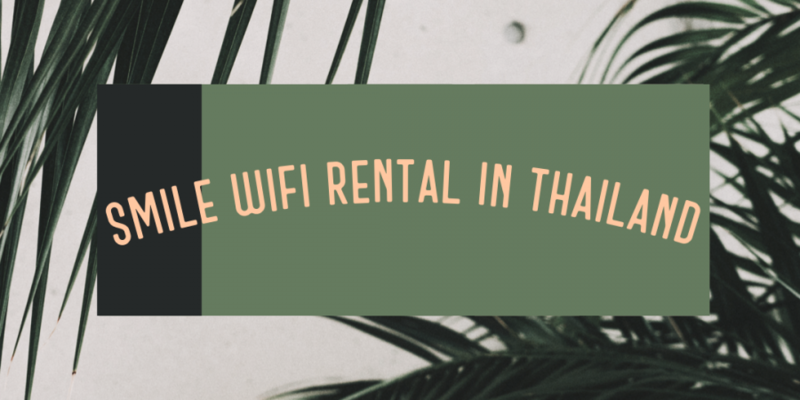 To avoid that, we search for rental shops that offer pocket WiFi for rent. If you’re planning of discovering Thailand, you’ve come to the right direction. This is the only shop that we tried and we didn’t have any complaints so I consider it reliable. The pocket WiFi comes with a power bank. Thoughtful! 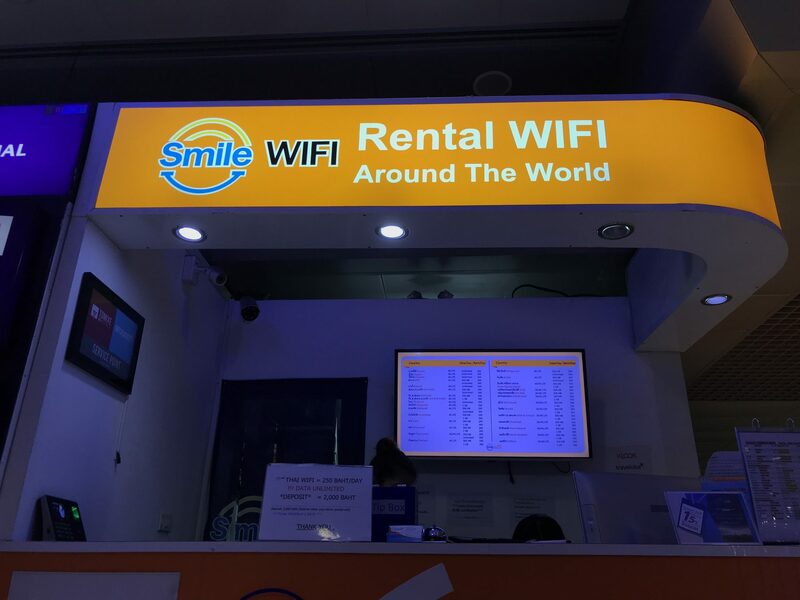 How much is the Pocket WiFi rent fee of Smile WiFi? 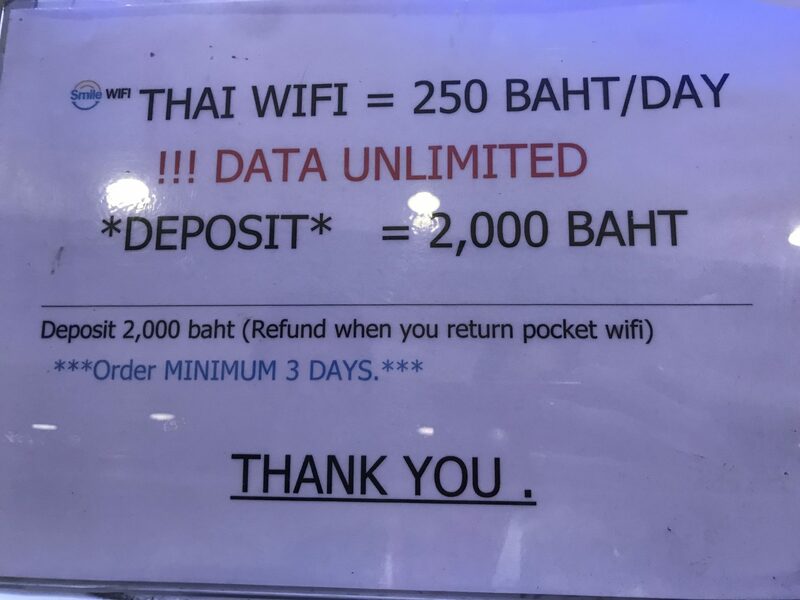 250 Baht per day. Unlimited. Not faux. I can attest to that. There were times when it’s lagged. We had to restart it and voilà! Deposit is 2000 Baht. No worries, you can get it after returning the device. I mentioned unlimited, right? But that depends on the country. My husband is a Japanese hence unlimited. See the table below. 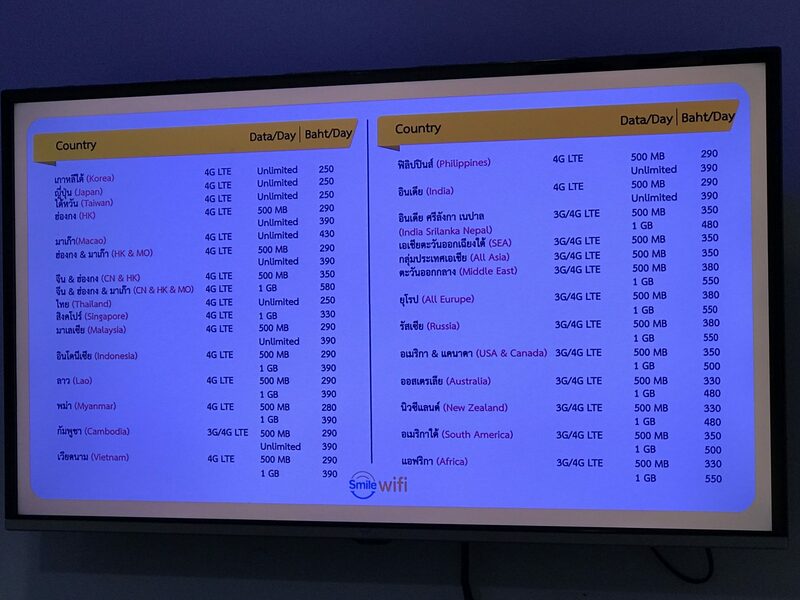 Where can you find Smile WiFi rental shop in Thailand? On the basement one or B1 of Suvarnabhumi Airport. The same floor as the AirportLink. Near Seven Eleven. 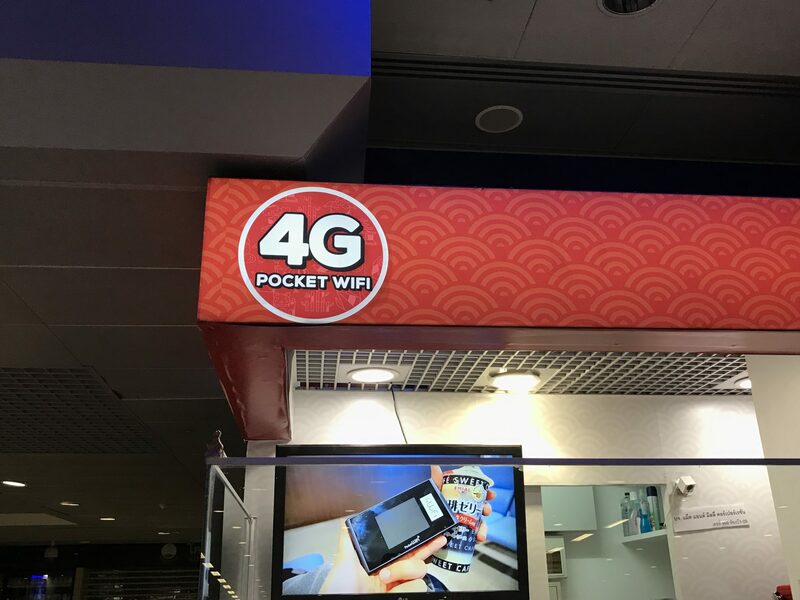 Is there any other WiFi Rental shop at the airport? Yes, there is. I can’t endorse it though since we haven’t tried it. Now, you won’t get lost because you can get access to Google map!